Mount Makiling, or Mount Maquiling, is a dormant volcano located on the border of Laguna province and Batangas on the island of Luzon, Philippines. The mountain rises to an elevation of 1,090 m (3,580 ft) above mean sea level and is the highest feature of the Laguna Volcanic Field. The volcano has no recorded historic eruption but volcanism is still evident through geothermal features like mud spring and hot springs. South of the mountain is the Makiling-Banahaw Geothermal Plant. The Philippine Institute of Volcanology and Seismology (PHIVOLCS) classifies the volcano as "potentially active". Mount Makiling is a state-owned forest reserve administered by the University of the Philippines Los Baños. Prior to its transfer to the university, the mountain was the first national park of the Philippines. Mount Makiling National Park was established on February 23, 1933 by Proclamation No. 552. However, it was decommissioned as a national park on June 20, 1963 by Republic Act no. 3523 when it was transferred to the University for use in forestry education and information. The mountain is sacred to many pilgrims and is widely believed to be the home of an anito named Maria Makiling. It is one of the most known bundok dambanas in Calabarzon. It was declared as an ASEAN Heritage Park in 2013, with the title of "Mount Makiling Forest Reserve". Maria Makiling was the protector and guardian of Mount Makiling located in Los Baños, Laguna. Thus, modern sightings of her were even reported. Maria Makiling is a common subject among Filipino artists, ranging from painters and sculptors to graphic novelists. Prior to the conversion of the natives to Christianity, Maria Makiling was already known as Makiling, an anito sent by Bathala in Mount Makiling to aid mankind in their daily tasks. The 'Maria' was added by the Spanish in a bid to 'rebrand' her as Catholic and to further subjugate the natives into Spanish imperialism. The contour of the mountain is said to be that of her in a reclining position. In some accounts, Maria Makiling, while serving as an anito of Bathala in Mount Makiling, was heartbroken by a mortal man, and thus chose to remain hidden from mortal view afterwards. Proclamation No. 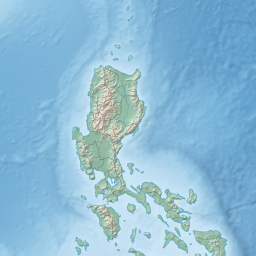 106 (1910) – Makiling Forest Reserve was established with specific boundaries and placed under the Bureau of Forestry by Governor General W. Cameron Forbes to regulate the use of public forest and forest reserves in the Philippines; Makiling Forest Reserve was set aside for the purpose of establishing a forest school and for silvicultural studies. Proclamation No. 60 (1920) – The reserved was renamed Makiling National Botanic Gardens and placed under the Bureau of Forestry by Proclamation NO. 60 issued by Governor General Francis B. Harrison primary for scientific studies on plants and animals. Proclamation No. 552 (1933) – The reserved was renamed the Makiling National Park under the Bureau of Forestry issued by Governor-General Theodore Roosevelt, Jr. to serve as game refuge and for other purposes for the benefit and enjoyment of the people. Proclamation No. 214 (1937) – Calamba Estate block was added to the Park for forest purposes issued by President Manuel L. Quezon. Republic Act (RA) 826 (1952) – Transfer of the administration of the Makiling National Park form the Bureau of Forestry to the Commission of Parks and Wildlife in order to promote effectual planning, development, maintenance and conservation of all national parks, monuments and wildlife in the country. Proclamation No. 692 (1960) – Administration of the Makiling National Park was transferred from the Commission of Parks and Wildlife to the University of the Philippines (UP) issued by President Carlos P. Garcia for forestry education and research purposes of the College of Forestry, subject to the condition that said land will be conserved and preserved as a national park. Republic Act (RA) 3523 (1963) – The Makiling National park was disestablished and then ceded, transferred and conveyed to UP issued by Pres. Diosdado Macapagal to serve as the land resource for carrying out a program of public education and information in forestry, with end goal of promoting general public appreciation of forest values. Executive Order (EO) 224 (1987) – Complete jurisdiction, control and regulation of watershed areas including the Makiling Forest Reserve was given to the National Power Corporation (NPC) issued by President Corazon C. Aquino in support of the country's major program of energy development. Republic Act (RA) 6967 (1990) – Administration of the Makiling Forest Reserve was finally transferred to UPLB by President Corazon C. Aquino primarily as a training laboratory for the advancement of scientific and technical knowledge on the preservation, conservation and development of forest, flora and fauna and natural resources. Executive Order 121 (1994) – created a Presidential Commission on Laguna Lake and Mt. Makiling Development to address urgent problems affecting the resources and to formulate a master plan for the development of the lake and the reserve which are seen as integrated ecosystems. Makiling National Scout Reservation, a campsite at the foot of Mount Makiling adjacent to U.P. Los Baños, which is being managed by the Boy Scouts of the Philippines this is the site of the 10th World Scout Jamboree in 1959 and 26th Asia-Pacific Regional Jamboree in 2009 and 2010. The CCF Mt. Makiling Recreation Center (known as MMRC) is a Christian recreation camp and retreat center owned by CCF and operated by RHI, located at Santo Tomas, Batangas on the slopes of Mt. Makiling. It is the prayer mountain and retreat center of Christ's Commission Fellowship. Mt. Makiling is a popular hiking destination. The two major trails begin at the UPLB College of Forestry and Brgy. San Miguel, Santo Tomas. The UPLB trail is more commonly used, taking 4–5 hours to reach the summit (Peak 2). This trail was closed in October 2007 due to trail damage wrought by Typhoon Xangsane on September 2006. The trail was closed again in December 2012 after two students were found drowned in a restricted area on the mountain. The trail was re-opened most recently in March 2013. The second trail, known as Maktrav, starts in Santo Tomas. This route is more difficult and requires 6–7 hours to reach the summit. Both trails are generally established and safe, although throughout the years there have been occasional reports of fatal accidents and injuries, especially on the Santo Tomas side. Climbers also frequently encounter leeches along the way. Flood, T. P.; Patino, L. C.; Vogel, T. A.; Arcilla, C.; Stimac, J. A.; Maximo, R. R.; Arpa, M. B. (December 2002). The origin of the silicic domes in the Macolod Corridor, Philippines. Fall Meeting 2002. American Geophysical Union. Bibcode:2002AGUFM.V12A1412F. "Geology of the Region: Region IV-A". Dovetail Ventures Asia Incorporated. 2011. Retrieved February 1, 2012. ^ "Potentially Active". Philippine Institute of Volcanology and Seismology. 30 Jul 2008. Archived from the original on 13 Feb 2012. Retrieved 19 March 2019. ^ "Republic Act No. 6967". Official Gazette of the Republic of the Philippines. Archived from the original on 19 March 2019. Retrieved 19 March 2019. ^ Yap, DJ (4 October 2013). "Makiling now a heritage park". Philippine Daily Inquirer. Archived from the original on 19 March 2019. Retrieved 19 March 2019. ^ "The Legend of Maria Makiling retold by Gat Jose Rizal". Retrieved 2010-04-03. ^ "Laws Governing the Makiling Forest Reserve". Makiling Center for Mountain Ecosystems (MCME). Archived from the original on 18 Jun 2013. Retrieved 19 March 2019. ^ Masó, Miguel Saderra (1904-01-01). Volcanoes and seismic centers of the Philippine Archipelago. Dept. of Commerce and Labor, Bureau of the Census. 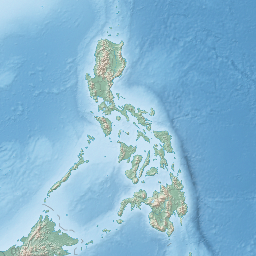 Wikimedia Commons has media related to Mount Makiling. https://web.archive.org/web/20161022082815/http://www.macrunners.org/ – Makiling Challenge, the longest running competitive foot race in the province of Laguna, organized by the Makiling Campus Runners.